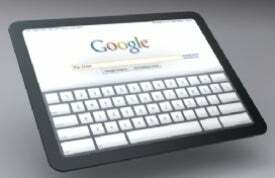 Google is set to push a new wave of budget tablets, Chief Executive Larry Page says. After the success of the Kindle Fire, Google sees plenty of space at the lower end of the market; at the top, few are challenging Apple’s iPad. Tablets running Google’s Android OS are not as popular as their smartphone siblings, which dominate the market. The iPad, starting at $400, has the lion’s share of tablet users, while Android manufacturers have struggled to match the price and quality of Apple’s tablet – with one exception. The Kindle Fire from Amazon, an inexpensive $200 media tablet based on Android, has quickly become the number 2 tablet (still way behind the iPad in sales). But while the 7-inch Fire runs on Android, Amazon forked the software so much that you don’t get to see any Google branded app store or media services – the entire experience is controlled by Amazon in a very Apple-esque way, without the price premium. Amazon sold more than 3 million Kindle Fire tablets in just a few short months since launch, and Google is clearly aware of that. Page’s acknowledgement of the company's interest in a low-end Google tablet now lends credence to recent speculation that Google is looking to release its own sub-$200 tablet some time this summer. The tablet is said to have a 7-inch display, run Android 4.0 on a quad-core processor, and not support 3G connectivity -- just Wi-Fi for Internet access. According to a report citing unnamed sources from The Verge, Google is making this low-end tablet with Taiwan’s Asustek, not with Motorola (the buyout is almost done). But to make a powerful 7-inch tablet is not cheap. Google’s tablet is said to cost some $250, and the company pushed back the release date to later this summer so it can drag the cost down – probably matching the Kindle Fire’s $200 price tag. It will be interesting to see where Google will make compromises to get a sub-$200 7-inch tablet. Amazon had to cut corners and ship a tablet with only 8GB of storage (unexpandable), no cameras or microphones, and a physical design that left some hoping for more refinement. Even so, Amazon is reportedly selling the Fire at a loss of a few dollars, in the hope to recoup the cost from after-sales of apps and media from its stores. Android Synergy: Not Just a Dream?